Introducing Hex to our lineup. In step with fall trends, this new line is designed in reverse grey denim with a contrasting deep-red interior. 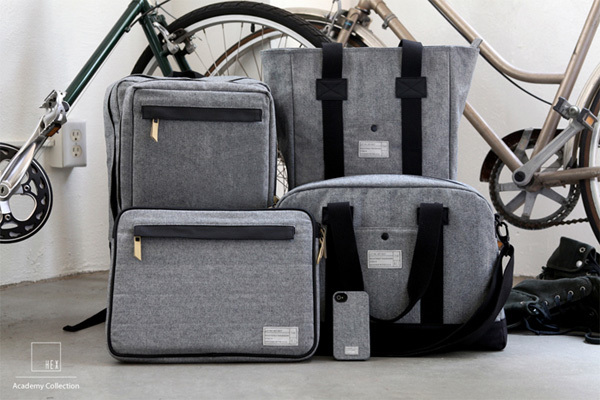 Additionally, the Academy collection features two fresh bag silhouettes—the Laptop Duffel and the Convertible Sleeve for 13” MacBook Pro—and even includes a fabric-wrapped iPhone case. Quantity is extremely limited.